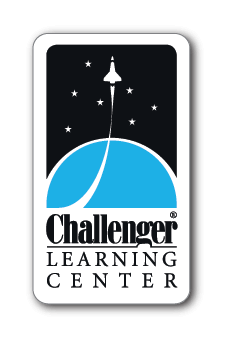 THE CHALLENGE – More than a quarter million students and teachers across the United States, Canada and England will experience the excitement of space exploration this year as part of Challenger Learning Center simulation programs. Merging the power of a child’s imagination with the excitement of discovery, students become engineers and scientists as they Voyage to Mars. Students work as teams in mission control and aboard a space station as they test their decision-making skills, solve problems and communicate by alternative means during this innovative space-themed science and math lesson. Teachers prepare students using both pre- and post-flight activities that integrate the experience into traditional classroom instruction. As students enter the Challenger Learning Center, they embark upon an exciting new form of discovery learning. As skills are sharpened in the area of mathematics, science and technology, students have the opportunity of successfully completing a space mission. In Earth years, it is 2076, and a now routine Voyage to Mars has brought the latest crew into Martian orbit. Control of the incoming flight has been transferred from Houston’s Mission Control to Mars Control at Chryse Station. The crew arriving from Earth on the Mars Transport Vehicle has been specially trained to replace the existing crew of astronauts, which has manned Mars Control for the past two years and to continue their scientific explorations. For the first time since 1972, a crew of astronauts is returning to the Moon. This time the goal is not only a visit but to stay. During this mission, the crew establishes a permanent base on the Moon to observe, explore, test the feasibility of off-Earth settlements and to serve as a stepping stone for human planetary exploration. Are you prepared for this task? Will the mission be a success? Climb aboard for this exciting trip to the Moon and help forge new frontiers!